Promethium, originally prometheum, is a chemical element with the symbol Pm and atomic number 61. All of its isotopes are radioactive; it is one of only two such elements that are followed in the periodic table by elements with stable forms, a distinction shared with technetium. Chemically, promethium is a lanthanide, which forms salts when combined with other elements. Promethium shows only one stable oxidation state of +3; however, a few +2 compounds may exist. In 1902 Bohuslav Brauner suggested there was an element with properties intermediate between those of the known elements neodymium (60) and samarium (62); this was confirmed in 1914 by Henry Moseley who, having measured the atomic numbers of all the elements then known, found there was no element with atomic number 61. In 1926, an Italian and an American group claimed to have isolated a sample of element 61; both "discoveries" were soon proven to be false. In 1938, during a nuclear experiment conducted at Ohio State University, a few radioactive nuclides were produced that certainly were not radioisotopes of neodymium or samarium, but there was a lack of chemical proof that element 61 was produced, and the discovery was not generally recognized. 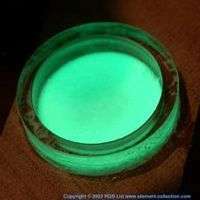 Promethium was first produced and characterized at Oak Ridge National Laboratory in 1945 by the separation and analysis of the fission products of uranium fuel irradiated in a graphite reactor. The discoverers proposed the name "prometheum" (the spelling was subsequently changed), derived from Prometheus, the Titan in Greek mythology who stole fire from Mount Olympus and brought it down to humans, to symbolize "both the daring and the possible misuse of mankind's intellect." However, a sample of the metal was made only in 1963. There are two possible sources for natural promethium: rare decays of natural europium-151 (producing promethium-147), and uranium (various isotopes). Practical applications exist only for chemical compounds of promethium-147, which are used in luminous paint, atomic batteries and thickness measurement devices, even though promethium-145 is the most stable promethium isotope. Because natural promethium is exceedingly scarce, it is typically synthesized by bombarding uranium-235 (enriched uranium) with thermal neutrons to produce promethium-147. A promethium atom has 61 electrons, arranged in the configuration [Xe]4f56s2. In forming compounds, the atom loses its two outermost electrons and one of the 4f-electrons, which belongs to an open subshell. The element's atomic radius is the third largest among all the lanthanides but is only slightly greater than those of the neighboring elements. It is the only exception to the general trend of the contraction of the atoms with increase of atomic radius (caused by the lanthanide contraction) that is not caused by the filled (or half-filled) 4f-subshell. Many properties of promethium rely on its position among lanthanides and are intermediate between those of neodymium and samarium. For example, the melting point, the first three ionization energies, and the hydration energy are greater than those of neodymium and lower than those of samarium; similarly, the estimate for the boiling point, ionic (Pm3+) radius, and standard heat of formation of monatomic gas are greater than those of samarium and less those of neodymium. Promethium is the only lanthanide and one of only two elements among the first 83 that has no stable (or even long-lived) isotopes. This is a result of a rarely occurring effect of the liquid drop model and stabilities of neighbor element isotopes; it is also the least stable element of the first 84. The primary decay products are neodymium and samarium isotopes (promethium-146 decays to both, the lighter isotopes generally to neodymium via positron decay and electron capture, and the heavier isotopes to samarium via beta decay). Promethium nuclear isomers may decay to other promethium isotopes and one isotope (145Pm) has a very rare alpha decay mode to stable praseodymium-141. The most stable isotope of the element is promethium-145, which has a specific activity of 940 Ci (35 TBq)/g and a half-life of 17.7 years via electron capture. Because it has 84 neutrons (two more than 82, which is a magic number which corresponds to a stable neutron configuration), it may emit an alpha particle (which has 2 neutrons) to form praseodymium-141 with 82 neutrons. Thus it is the only promethium isotope with an experimentally observed alpha decay. Its partial half-life for alpha decay is about 6.3×109 years, and the relative probability for a 145Pm nucleus to decay in this way is 2.8×10−7%. Several other promethium isotopes (144Pm, 146Pm, 147Pm etc.) also have a positive energy release for alpha decay; their alpha decays are predicted to occur but have not been observed. The element also has 18 nuclear isomers, with mass numbers of 133 to 142, 144, 148, 149, 152, and 154 (some mass numbers have more than one isomer). The most stable of them is promethium-148m, with a half-life of 43.1 days; this is longer than the half-lives of the ground states of all promethium isotopes, except only for promethium-143 to 147 (note that promethium-148m has a longer half-life than the ground state, promethium-148). 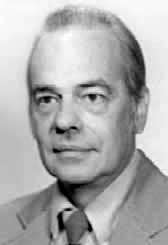 In 1934, Willard Libby found weak beta activity in pure neodymium, which was attributed to a half-life over 1012 years. Almost 20 years later, it was claimed that the element occurs in natural neodymium in equilibrium in quantities below 10−20 grams of promethium per one gram of neodymium. However, these observations were disproved by newer investigations, because for all seven naturally occurring neodymium isotopes, any single beta decays (which can produce promethium isotopes) are forbidden by energy conservation. In particular, careful measurements of atomic masses show that the mass difference 150Nd-150Pm is negative (−87 keV), which absolutely prevents the single beta decay of 150Nd to 150Pm. Both isotopes of natural europium have larger mass excesses than sums of those of their potential alpha daughters plus that of an alpha particle; therefore, they (stable in practice) may alpha decay. Research at Laboratori Nazionali del Gran Sasso showed that europium-151 experimentally decays to promethium-147 with the half-life of 5×1018 years. It has been shown that europium is "responsible" for about 12 grams of promethium in the Earth's crust. Alpha decays for europium-153 have not been found yet, and its theoretically calculated half-life is so high (due to low energy of decay) that this process will probably never be observed. Finally, promethium can be formed in nature as a product of spontaneous fission of uranium-238. Only trace amounts can be found in naturally occurring ores: a sample of pitchblende has been found to contain promethium at a concentration of four parts per quintillion (1018) by mass. Uranium is thus "responsible" for 560 g promethium in Earth's crust. In 1902, Czech chemist Bohuslav Brauner found out that the differences in properties between neodymium and samarium were the largest between any two consecutive lanthanides in the sequence then known; as a conclusion, he suggested there was an element with intermediate properties between them. This prediction was supported in 1914 by Henry Moseley who, having discovered that atomic number was an experimentally measurable property of elements, found a few atomic numbers had no element to correspond: the gaps were 43, 61, 72, 75, 85, and 87. With the knowledge of a gap in the periodic table several groups started to search for the predicted element among other rare earths in the natural environment. The first claim of a discovery was published by Luigi Rolla and Lorenzo Fernandes of Florence, Italy. After separating a mixture of a few rare earth elements nitrate concentrate from the Brazilian mineral monazite by fractionated crystallization, they yielded a solution containing mostly samarium. This solution gave x-ray spectra attributed to samarium and element 61. In honor of their city, they named element 61 "florentium." The results were published in 1926, but the scientists claimed that the experiments were done in 1924. 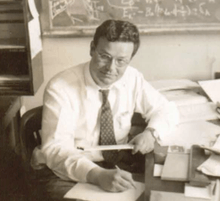 Also in 1926, a group of scientists from the University of Illinois at Urbana-Champaign, Smith Hopkins and Len Yntema published the discovery of element 61. They named it "illinium," after the university. Both of these reported discoveries were shown to be erroneous because the spectrum line that "corresponded" to element 61 was identical to that of didymium; the lines thought to belong to element 61 turned out to belong to a few impurities (barium, chromium, and platinum). In 1934, Josef Mattauch finally formulated the isobar rule. One of the indirect consequences of this rule was that element 61 was unable to form stable isotopes. In 1938, a nuclear experiment was conducted by H. B. Law et al. at Ohio State University. The nuclides produced certainly were not radioisotopes of neodymium or samarium, and the name "cyclonium" was proposed, but there was a lack of chemical proof that element 61 was produced and the discovery not largely recognized. Promethium was first produced and characterized at Oak Ridge National Laboratory (Clinton Laboratories at that time) in 1945 by Jacob A. Marinsky, Lawrence E. Glendenin and Charles D. Coryell by separation and analysis of the fission products of uranium fuel irradiated in the graphite reactor; however, being too busy with military-related research during World War II, they did not announce their discovery until 1947. The original proposed name was "clintonium", after the laboratory where the work was conducted; however, the name "prometheum" was suggested by Grace Mary Coryell, the wife of one of the discoverers. It is derived from Prometheus, the Titan in Greek mythology who stole fire from Mount Olympus and brought it down to humans and symbolizes "both the daring and the possible misuse of the mankind intellect." The spelling was then changed to "promethium," as this was in closer in accordance with other metals. The production methods for different isotopes vary, and only that for promethium-147 is given because it is the only isotope with industrial applications. Promethium-147 is produced in large quantities (compared to other isotopes) by bombarding uranium-235 with thermal neutrons. The output is relatively high, at 2.6% of the total product. Another way to produce promethium-147 is via neodymium-147, which decays to promethium-147 with a short half-life. Neodymium-147 can be obtained either by bombarding enriched neodymium-146 with thermal neutrons or by bombarding a uranium carbide target with energetic protons in a particle accelerator. Another method is to bombard uranium-238 with fast neutrons to cause fast fission, which, among multiple reaction products, creates promethium-147. Some signal lights use a luminous paint, containing a phosphor that absorbs the beta radiation emitted by promethium-147 and emits light. This isotope does not cause aging of the phosphor, as alpha emitters do, and therefore the light emission is stable for a few years. Originally, radium-226 was used for the purpose, but it was later replaced by promethium-147 and tritium (hydrogen-3). Promethium may be favored over tritium for safety reasons. 1 2 3 4 Greenwood, Norman N.; Earnshaw, Alan (1997). Chemistry of the Elements (2nd ed.). Butterworth-Heinemann. p. 1233. ISBN 0-08-037941-9. 1 2 Pallmer, P.G. ; Chikalla, T.D. (1971). "The crystal structure of promethium". Journal of the Less Common Metals. 24 (3): 233. doi:10.1016/0022-5088(71)90101-9. 1 2 Lavrukhina & Pozdnyakov 1966, p. 120. 1 2 3 Emsley 2011, p. 429. 1 2 3 4 Lavrukhina & Pozdnyakov 1966, p. 121. ↑ Aspinall, H. C. (2001). Chemistry of the f-block elements. Gordon & Breach. p. 34, Table 2.1. ISBN 905699333X. ↑ Lavrukhina & Pozdnyakov 1966, p. 122. 1 2 3 Lavrukhina & Pozdnyakov 1966, p. 123. 1 2 3 4 Chikalla, T. D.; McNeilly, C. E.; Roberts, F. P. (1972). "Polymorphic Modifications of Pm2O3". Journal of the American Ceramic Society. 55 (8): 428. doi:10.1111/j.1151-2916.1972.tb11329.x. ↑ Cotton, Simon (2006). Lanthanide And Actinide Chemistry. John Wiley & Sons. p. 117. ISBN 978-0-470-01006-8. 1 2 3 4 5 6 Hammond, C. R. (2011). "Prometium in "The Elements"". In Haynes, William M. CRC Handbook of Chemistry and Physics (92nd ed.). CRC Press. p. 4.28. ISBN 1439855110. ↑ Lavrukhina & Pozdnyakov 1966, p. 114. 1 2 3 Lavrukhina & Pozdnyakov 1966, p. 117. ↑ N. E. Holden (2004). "Table of the Isotopes". In D. R. Lide. CRC Handbook of Chemistry and Physics (85th ed.). CRC Press. Section 11. ISBN 978-0-8493-0485-9. 1 2 3 4 Belli, P.; Bernabei, R.; Cappella, F.; et al. (2007). "Search for α decay of natural Europium". Nuclear Physics A. 789 (1–4): 15–29. Bibcode:2007NuPhA.789...15B. doi:10.1016/j.nuclphysa.2007.03.001. ↑ C. R. Cowley; W. P. Bidelman; S. Hubrig; G. Mathys & D. J. Bord (2004). "On the possible presence of promethium in the spectra of HD 101065 (Przybylski's star) and HD 965". Astronomy & Astrophysics. 419 (3): 1087–1093. Bibcode:2004A&A...419.1087C. doi:10.1051/0004-6361:20035726. ↑ Laing, Michael (2005). "A Revised Periodic Table: With the Lanthanides Repositioned". Foundations of Chemistry. 7 (3): 203–233. doi:10.1007/s10698-004-5959-9. ↑ Littlefield, Thomas Albert; Thorley, Norman (1968). Atomic and nuclear physics: an introduction in S.I. units (2nd ed.). Van Nostrand. p. 109. 1 2 3 Lavrukhina & Pozdnyakov 1966, p. 108. ↑ (German) Rolla, Luigi; Fernandes, Lorenzo (1926). "Über das Element der Atomnummer 61". Zeitschrift für anorganische und allgemeine Chemie. 157: 371. doi:10.1002/zaac.19261570129. ↑ Noyes, W. A. (1927). "Florentium or Illinium?". Nature. 120 (3009): 14. Bibcode:1927Natur.120...14N. doi:10.1038/120014c0. ↑ Rolla, L.; Fernandes, L. (1927). "Florentium or Illinium?". Nature. 119 (3000): 637. Bibcode:1927Natur.119..637R. doi:10.1038/119637a0. ↑ Rolla, Luigi; Fernandes, Lorenzo (1928). "Florentium. II". Zeitschrift für anorganische und allgemeine Chemie. 169: 319. doi:10.1002/zaac.19281690128. ↑ Rolla, Luigi; Fernandes, Lorenzo (1927). "Florentium". Zeitschrift für anorganische und allgemeine Chemie. 163: 40. doi:10.1002/zaac.19271630104. ↑ Rolla, Luigi; Fernandes, Lorenzo (1927). "Über Das Element der Atomnummer 61 (Florentium)". Zeitschrift für anorganische und allgemeine Chemie. 160: 190. doi:10.1002/zaac.19271600119. ↑ Harris, J. A.; Yntema, L. F.; Hopkins, B. S. (1926). "The Element of Atomic Number 61; Illinium". Nature. 117 (2953): 792. Bibcode:1926Natur.117..792H. doi:10.1038/117792a0. ↑ Brauner, Bohuslav (1926). "The New Element of Atomic Number 61: Illinium". Nature. 118 (2959): 84. Bibcode:1926Natur.118...84B. doi:10.1038/118084b0. ↑ Meyer, R. J.; Schumacher, G.; Kotowski, A. (1926). 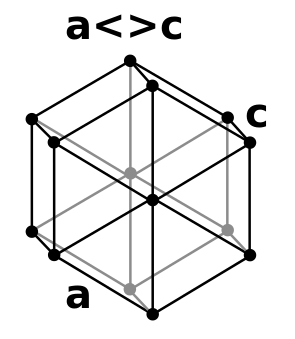 "Über das Element 61 (Illinium)". Naturwissenschaften. 14 (33): 771. Bibcode:1926NW.....14..771M. doi:10.1007/BF01490264. ↑ Thyssen, Pieter; Binnemans, Koen (2011). "Accommodation of the Rare Earths in the Periodic Table: A Historical Analysis". In Gschneider, Karl A., Jr.; Bünzli, Jean-Claude; Pecharsky, Vitalij K. Handbook on the Physics and Chemistry of Rare Earths. Amsterdam: Elsevier. p. 63. ISBN 978-0-444-53590-0. OCLC 690920513. Retrieved 2013-04-25. 1 2 3 4 5 6 7 8 Emsley 2011, p. 428. 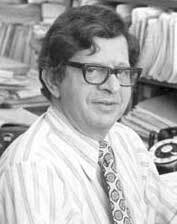 ↑ Marinsky, J. A.; Glendenin, L. E.; Coryell, C. D. (1947). "The chemical identification of radioisotopes of neodymium and of element 61". Journal of the American Chemical Society. 69 (11): 2781–5. doi:10.1021/ja01203a059. PMID 20270831. ↑ <Please add first missing authors to populate metadata.> (2003). "Discovery of Promethium". ORNL Review. 36 (1). Retrieved 2006-09-17. ↑ Wiberg, Egon; Wiberg, Nils; Holleman, Arnold Frederick (2001). Inorganic Chemistry. John Wiley and Sons. p. 1694. ISBN 0-12-352651-5. ↑ Lee, Chung-Sin; Wang, Yun-Ming; Cheng, Wu-Long; Ting, Gann (1989). "Chemical study on the separation and purification of promethium-147". Journal of Radioanalytical and Nuclear Chemistry Articles. 130: 21. doi:10.1007/BF02037697. ↑ Gagnon, Steve. "The Element Promethium". Jefferson Lab. Science Education. Retrieved 26 February 2012. ↑ Lavrukhina & Pozdnyakov 1966, p. 115. 1 2 Duggirala, Rajesh; Lal, Amit; Radhakrishnan, Shankar (2010). Radioisotope Thin-Film Powered Microsystems. Springer. p. 12. ISBN 1441967621. ↑ Hänninen, Pekka; Härmä, Harri (2011). Applications of inorganic mass spectrometry. Springer. p. 144. ISBN 978-3-642-21022-8. ↑ De Laeter; J. R. (2001). Applications of inorganic mass spectrometry. Wiley-IEEE. p. 205. ISBN 0471345393. ↑ Lavrukhina & Pozdnyakov 1966, p. 116. ↑ Gerber, Michele Stenehjem; Findlay, John M. (2007). On the Home Front: The Cold War Legacy of the Hanford Nuclear Site (3rd ed.). University of Nebraska Press. p. 162. ISBN 978-0-8032-5995-9. 1 2 3 4 Lavrukhina & Pozdnyakov 1966, p. 118. ↑ Tykva, Richard; Berg, Dieter (2004). Man-made and natural radioactivity in environmental pollution and radiochronology. Springer. p. 78. ISBN 1-4020-1860-6. ↑ Deeter, David P. (1993). Disease and the Environment. Government Printing Office. p. 187. ↑ Flicker, H.; Loferski, J.J.; Elleman, T.S. (1964). "Construction of a promethium-147 atomic battery". IEEE Transactions on Electron Devices. 11: 2. doi:10.1109/T-ED.1964.15271. ↑ Jones, James William; Haygood, John R. (2011). The Terrorist Effect – Weapons of Mass Disruption: The Danger of Nuclear Terrorism. iUniverse. p. 180. ISBN 978-1-4620-3932-6. Retrieved January 13, 2012. ↑ Stwertka, Albert (2002). A guide to the elements. Oxford University Press. p. 154. ISBN 978-0-19-515026-1. ↑ Radioisotope Power Systems Committee, National Research Council U.S. (2009). Radioisotope power systems: an imperative for maintaining U.S. leadership in space exploration. National Academies Press. p. 8. ISBN 978-0-309-13857-4. ↑ Simmons, Howard (1964). "Reed Business Information". New Scientist. 22 (389): 292. ↑ Operator, organizational, direct support, and general support maintenance manual: installation, operation, and checkout procedures for Joint-Services Interior Intrusion Detection System (J-SIIDS). Headquarters, Departments of the Army, Navy, and Air Force. 1991. p. 5. 1 2 3 Stuart Hunt & Associates Lt. "Radioactive Material Safety Data Sheet" (PDF). Retrieved 2012-02-10. Lavrukhina, A. K.; Pozdnyakov, A. A. (1966). Аналитическая химия технеция, прометия, астатина и франция (Analytical Chemistry of Technetium, Promethium, Astatine, and Francium) (in Russian). Nauka.